The Hyundai Kona and Kona Electric CUV models were named as the winners of the 2019 North American Utility Vehicle of the Year. The award is given by the North American Car, Utility and Truck of the Year automotive media jury. This is the first time that that a crossover utility vehicle from Hyundai has won such an award in the utility vehicle category. The winner of this prestigious award is announced every year on the sidelines of the North American International Auto Show in Detroit. The jury for the 2019 North American Utility Vehicle of the Year award comprises an independent panel of top journalists and analysts drawn from Canada and the United States. The award has been given to the best cars, trucks, and utility vehicles from 1994. This year, the jury panel included journalists from newspapers, magazines, radio and TV broadcast channels, digital columnists and freelance media working for 54 media outlets. This is not the only award that the Hyundai Kona has received this year. The CUV also received an iF Design Award in the Automobiles/Vehicles category in the past year on the basis of its elegant and expressive appearance. The Kona is Hyundai Motor’s first subcompact SUV. The iF Design Award is one of the most renowned awards in the design world and has been given every year from 1953 to products of the best quality in every category an arbiter of quality and one of the most important design awards. Hyundai Motor has also won several other iF Design awards – for the i20 in 2015, for the Tucson in 2016 and for the new-generation i30 in 2017. The Kona had won the Red Dot Design Award, another renowned design award in 2018, along with Hyundai’s NEXO Fuel Cell vehicle in the Cars and Motorcycles category as well as the GOOD DESIGN® Award given by the Chicago Athenaeum: Museum of Architecture and Design and the European Centre for Architecture Art Design and Urban Studies. The prestigious GOOD DESIGN® Awards recognize the best industrial and graphic designers and world manufacturers for their pursuit excellence in design on a yearly basis. 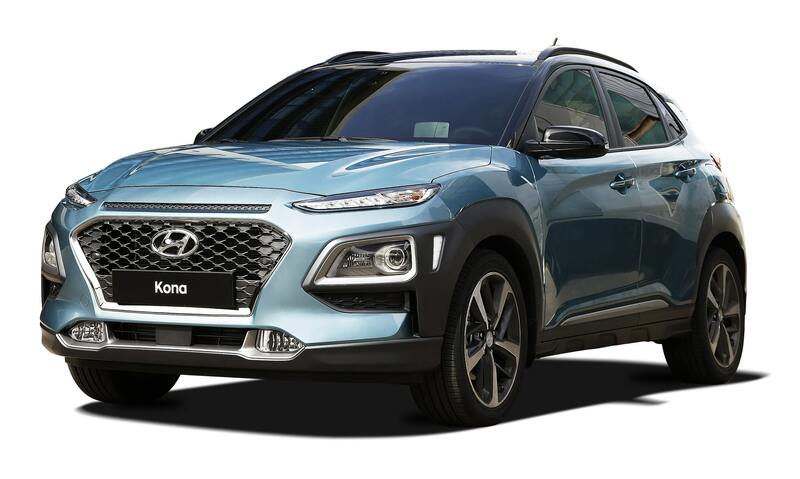 Other awards that the Hyundai Kona won include the Sub-Compact Sport Utility Vehicle of Texas at the 2018 Texas Auto Writers Association (TAWA) Annual Texas Truck Rodeo and the ABC award for “Best Car of the Year 2019” in Spain. The Hyundai Kona, which was launched in the Middle East in August 2018, is available in Africa and Middle East Markets. Hyundai offers two highly advanced engine and transmission options for the Kona in Africa and Middle East markets: a 1.6-litre T-GDI, or a 2.0-liter MPI Atkinson cycle unit.